The idea for the pictured tool cabinet developed from a small tool box for children which I received many years ago for Christmas. The principle is still the same only the dimensions are different. Since we use the workshop also for other activities (e.g. cinema, play area, party room etc.) the workshop was designed in such a way that transformation from a workshop to a cinema or a party room can be done within a relatively short time. 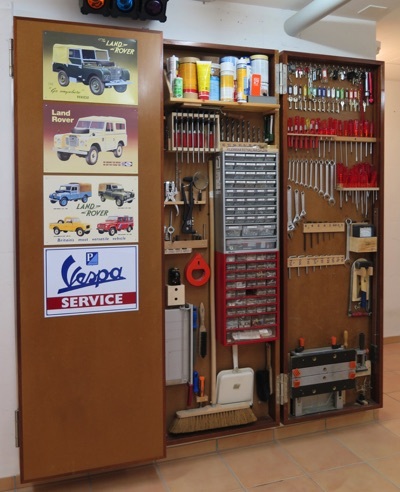 I came to the conclusion that the multi-functional use of the workshop requires a lockable tool cabinet. 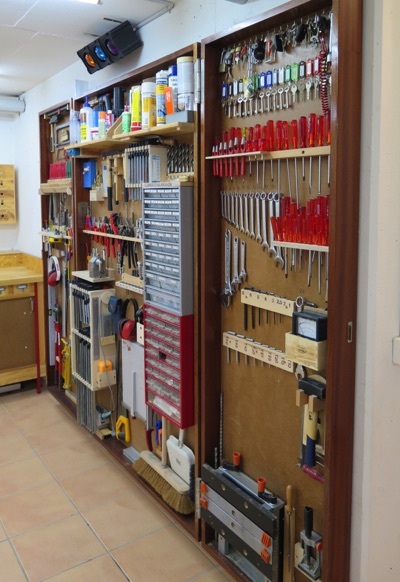 The cabinet is organised in such a way, that all tools can be taken off the wall without moving another tool away and with only one hand. 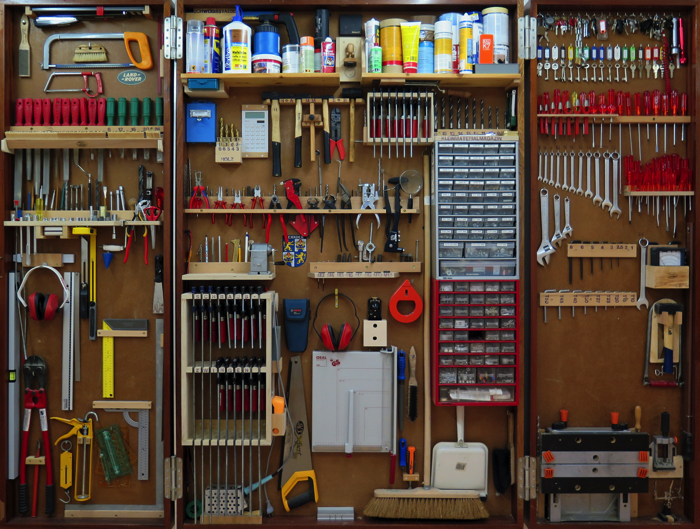 The same is also possible the other way round, when putting the tools back to the cabinet. Based on the concept of a Swiss Army Arsenal all tools are grouped and divided in pre-defined areas. This approach allows the user to find the required tools even under the condition of absolute darkness. The two doors are relatively heavy and this required a solid frame which I made with nut wood. The back board and the two doors are made out of MDF panels with a thickness of 18mm. This makes the cabinet heavy but also very solid. For the two doors I used some heavy duty hinges, being able to carry the weight of all the tools in the doors. The whole cabinet is fixed with four anchor bolts to the wall. This makes the cabinet impossible to tilt over when opening the doors. The access time for a tool is usually less than three seconds. 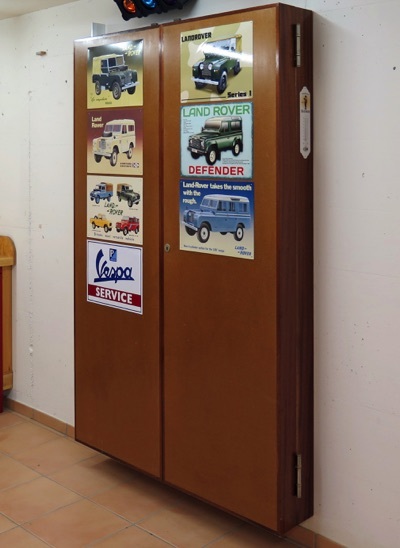 The pictures on the front side of the cabinet do reveal my passion for a former British car manufacturer.